Somehow I missed that Pat Booth passed away in 2009. 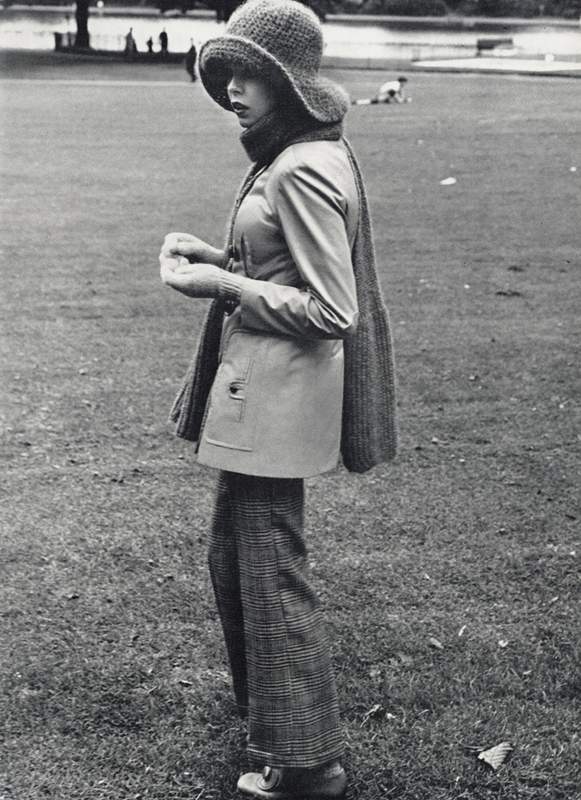 Alongside her then boyfriend James Wedge, Booth helped “create” the Chelsea fashion scene in the Sixties and Seventies with the boutiques Top Gear and Countdown. She had started out as a model, before and during the boutiques’ lifespans, and would become both a photographer and a novelist in later years. She was married twice; first to psychiatrist Garth Wood and second to advertising guru Sir Frank Lowe, a short year before her death from cancer. Pattie Boyd and Cliff Richard were the only attendees. 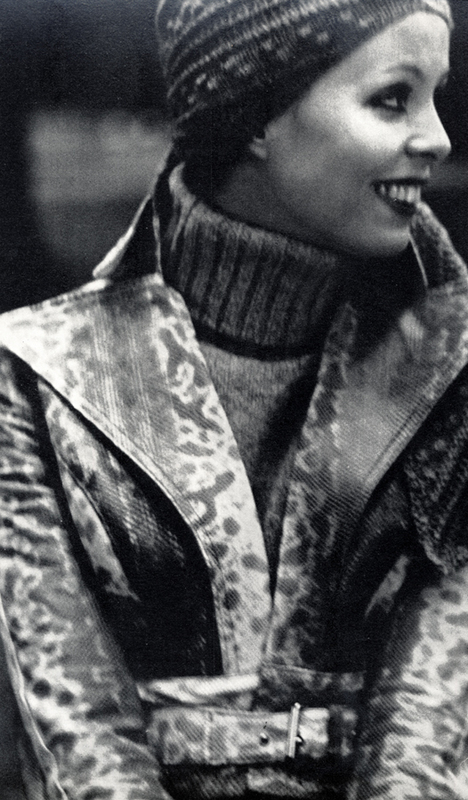 The reason I was looking her up was because I found and scanned this lovely shot of her from Vogue Boutique, February 1971. I’m still posting it, but I feel a bit sad to know that another key figure from the period has gone. I’m often yapping on about the genius of James Wedge’s photography, but I have been meaning to share this very rare, very precious part of fashion history and of my personal collection for a while now. Wedge is one of those rare Renaissance-man types; successful in every new skill to which he turned his hand. He successfully ran his own boutiques (Countdown and Top Gear), forged a career in photography with no experience or working knowledge (trial and error often creates some of the best works of art) and, initially, he trained and worked as a milliner. His hats were regularly featured in Vogue in the early to mid Sixties, often teamed with outfits by his friends Marion Foale and Sally Tuffin, and are some of the most perfect examples of mod ‘op-art’ ever created. But they weren’t being produced for long, or in any great quantity, so they are now incredibly rare. This hat splits me in half. I cannot wear fur. I just can’t. Not particularly morally, I eat meat and wear leather quite happily, but the feel on my skin is like nails down a blackboard. Consequently, a hat made from rabbit fur is a thing of beauty aesthetically but I wouldn’t wear it even if I could squish it over my big head. However, I can’t quite bring myself to sell it just yet. I mean… it’s James Wedge? !